Behind every great college or professional athlete is a story. We hear it all the time about how “lucky” these athletes are that they get to live out their dream of playing the game they love. The truth is, these athletes have dedicated years and countless hours to their craft to get to the position that they are in. Here at The Hitting Vault, we are lucky to have Alexa Peterson, former All-American and current professional softball player on our staff. Alexa was a player for Coach Lisle while at The University of Oregon and throughout her career, she has exemplified our mantra here at The Vault, hard work works. Alexa started her softball career a lot like most of us, playing Tee Ball for her local Little League program. “I was 5 years old when I got started with softball, it was just kind of what kids do, you play Little League,” Alexa explained. After kicking off her career at age 5 it didn’t take long for her to realize that this softball thing might actually be her calling. “Once I started playing I just really enjoyed it, I started catching on to the different intricacies of the game and things just started to click for me as I progressed to higher levels.” Alexa’s parents also noticed her passion. Her dad threw down some small 2×6 pieces of wood for bases and they made a makeshift miniature diamond in their backyard so he could teach her the rules of the game, and they could play catch and do drills outside of normal practice time. At the age of 10 Alexa and her parents realized that her passion was absolutely worth pursuing, and she started to play for a local travel ball program called the Oregon Panthers. Here, she started to play against higher level competition and more games than her regular Little League schedule. She couldn’t get enough. Don’t wait for your high school or travel ball coaches to get you in contact with colleges, take the initiative yourself and proactively reach out to college coaches to get on their radar. When Alexa first started emailing college coaches, she was too young for the coaches to email her back and make direct contact. But that didn’t stop her, and it shouldn’t stop you either. It’s critical to reach out and get on the coaches radar. The only response that Alexa got from this outreach was an automated response asking her to fill out a questionnaire, which is also very important! College baseball and softball coaches will often have a database of prospects, and one way to get in there is by submitting these questionnaires. Do not skip that part! Some schools even have a “recruit” or “recruit questionnaire” tab on their website that you can click on for more information and a link to their questionnaire. Fast forward to Alexa’s sophomore year of high school and Alexa’s travel coach at the time pulled her aside to let her know some very exciting news. “Alexa, we received calls from Oregon and Oregon State and they would like for you to come on an unofficial visit if you’re interested.” Her coaches enthusiastically told her. Alexa was thrilled, growing up just a few short minutes away from both of these campuses she had always had an eye on these local schools and had wanted to play in the PAC – 12. The big question here… How did Alexa get on the radar of these Pac-12 programs? Truth is that it’s hard to tell, but more than likely it was a combination of the outreach she did growing up to college coaches, attending their camps every year, and more than anything, being an elite level softball player at the high school level. When it comes to Division I scholarships in any sport, you have to have elite talent. 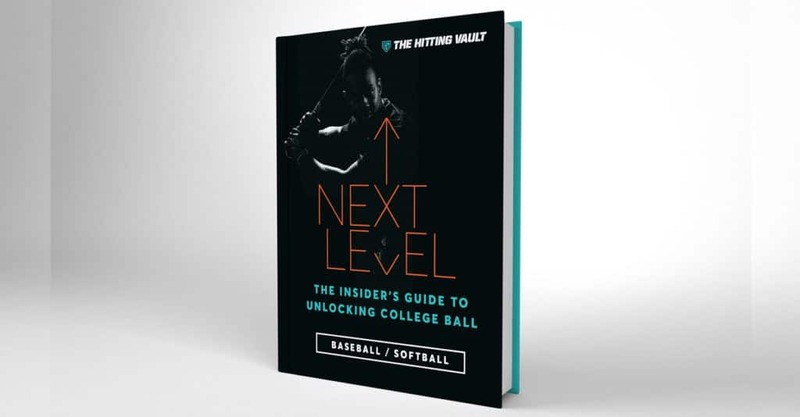 For more information about the college recruiting process, be sure to check out Alexa and Coach Lisle’s digital book, Next Level: The Insiders Guide to Unlocking College Ball. *Please note, this is a digital book that is available immediately upon purchase. To keep reading about Alexa’s journey in college softball recruiting, as well as specific tips for getting recruited to play college softball, check out part two of our blog post.